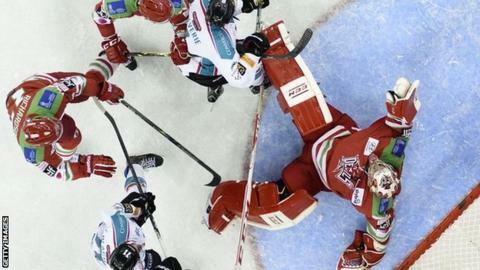 Cardiff Devils overturned a 4-2 deficit to beat Dundee Stars 6-5 on aggregate in the Elite League play-off quarter final. Andrew Lord's team won 4-1 in Dundee to earn themselves a semi-final against Coventry Blaze in Nottingham on Saturday, 2 April. Devils trailed 5-4 on aggregate going into the final 10 minutes in Scotland. Carl Hudson levelled the tie on 51:52 and Tomas Kurka scored the winner less than five minutes from the end. Kurka scored twice on the night with the Devils' other goal coming from Lord. Doug Clarkson was on target for Dundee.